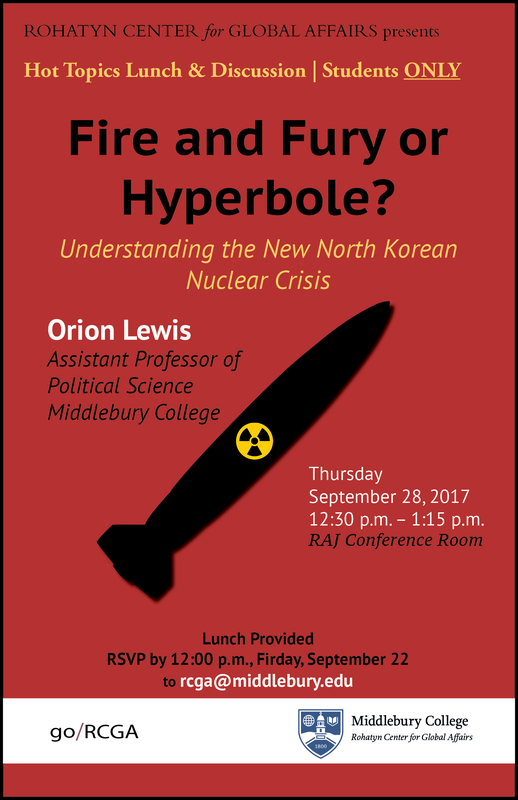 The Hot Topics Lunch & Discussion events provide an informal opportunity for students to engage with faculty members on student-selected “hot” topics in world affairs. 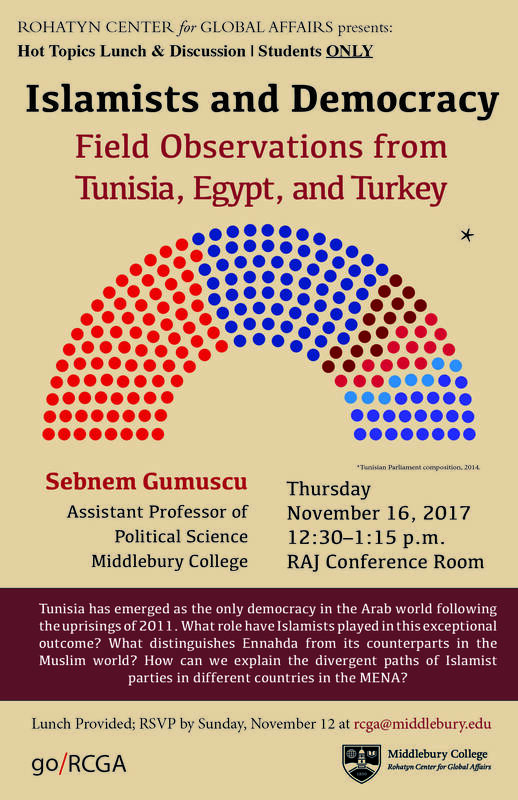 The series features a brief faculty presentation followed by lively discussion and analysis. 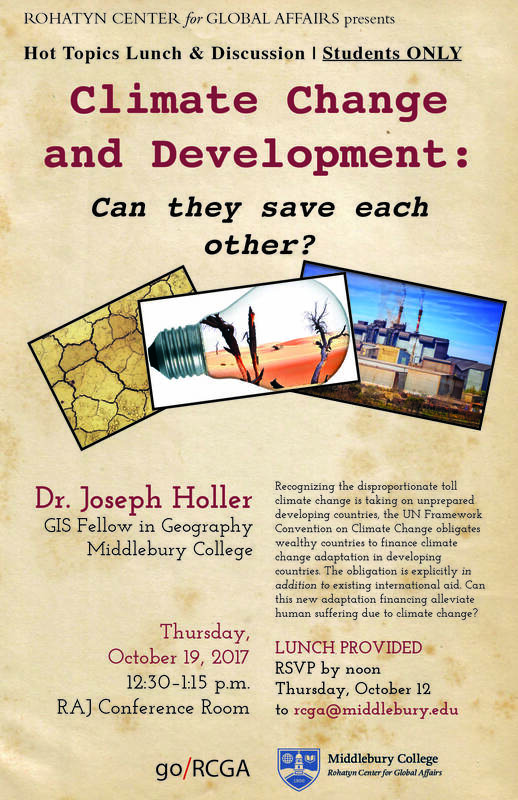 Email rcga@middlebury.edu with suggestions for topics to discuss at the next lunch!